This page provides information about the current urgent care services in Hornsea and the surrounding area and what the Governing Body decisions will mean. The Hornsea population will have access to any of the Urgent Treatment Centres (UTC’s) that will be open for 16 hours a day 7 days a week (this is an increase of 8 hours/day Monday-Sunday on what was available within the MIU) this is a consistent service both in respect of the hours of availability and the range of clinical services and interventions that will be available for them to access. The existing Minor Injury Unit will close. and the nearest UCC to Hornsea will be 12 miles away in Beverley. 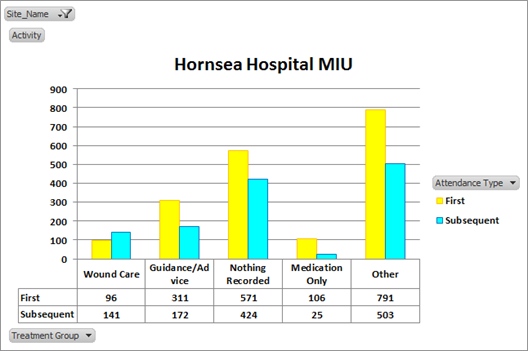 The CCG is aware that 40% (4-patients/day) of people who have attended the Hornsea MIU in 2015/16 were ‘subsequent attendances’ which do not appear to be for an urgent unplanned care need. The Hornsea population will have planned care services e.g. for their wound care needs being delivered as part of the community services provision either in a planned wound care clinic or through the community nursing service for housebound patients. There will also be navigation and sign posting available via the GP Practice and NHS111 and clinical advice will be available via the Yorkshire Ambulance Service (YAS) Clinical Advisory Service. People with urgent care needs will be encouraged to ‘talk before they walk’ by accessing advice services. The community hospital in Hornsea will continue to be used as an asset to meet the needs of the population e.g. out-patient clinics and a base for community services. The CCG will continue to work with partners across health care, the voluntary sector and the local community to maximise the use of Hornsea Community Hospital for the benefit of the population. Click here to view information which has been developed to encapsulate what people told the CCG about the proposed options for changes to MIUs during the urgent care consultation for Hornsea. The CCG has looked at the evidence in respect of what was said and has identified what possible responses they should consider.